New to growing plants and no idea what you should grow indoors? Learn about these 15 Best Houseplants for Beginners. They all are easy to grow! 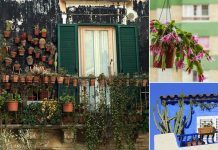 Potted houseplants provide a lavish look and can be used to decorate the interior at low cost. Also, they create positive impact and many of them purify the air. But what you’ll do if you don’t have much knowledge about growing plants and the houseplants that are best to grow? Simple! Learn about these 15 Best Houseplants for Beginners! They are easy to grow and tolerate poor conditions. 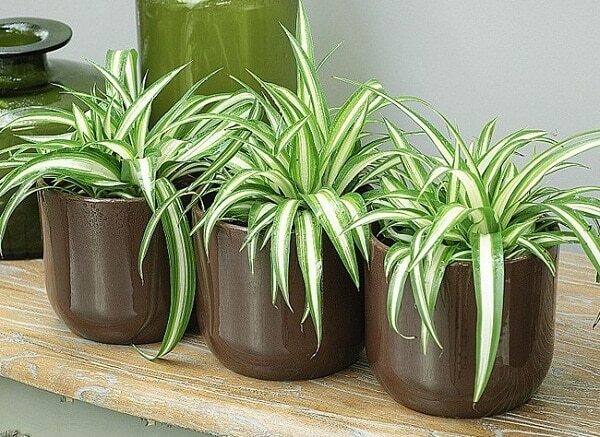 Snake plant is one of the best plants for the beginners. Easy to grow and hard to kill, it can be grown in low light and need to be watered occasionally. 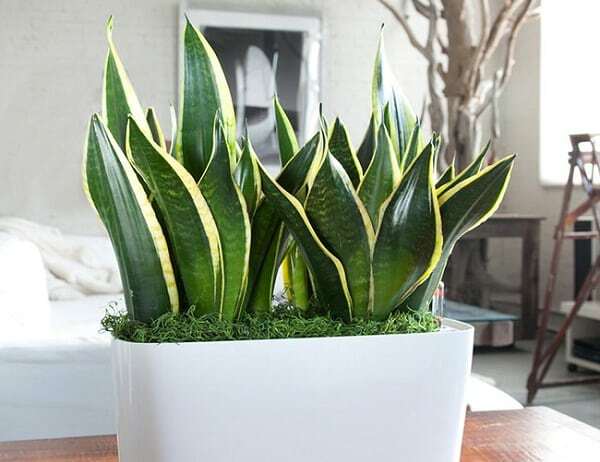 Snake plant also removes toxins from the air– All this makes it a perfect houseplant for beginners. 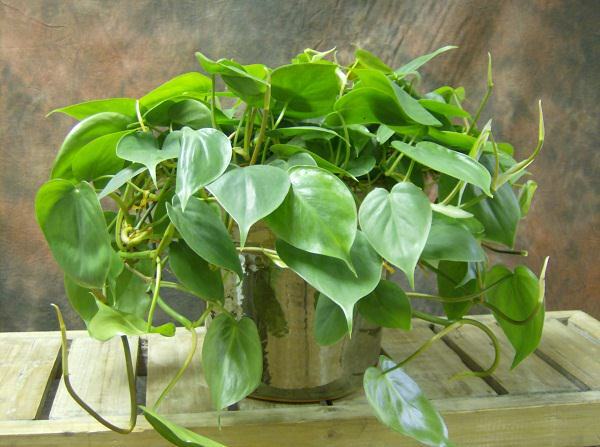 Philodendron scandens is extremely easy to grow and great for beginners. It needs a moderate amount of light and prefers the soil to dry out between watering spells. One of the most popular houseplants. Its popularity is due to its toughness and the ease of growing and maintenance. The plant can easily adapt to almost any condition. Keep the plant in a bright spot and maintain slight moisture in the soil and it will grow happily. The peace lily is among the easiest plants to grow indoors. It can tolerate a wide range of lighting conditions, and needs only moderate watering. 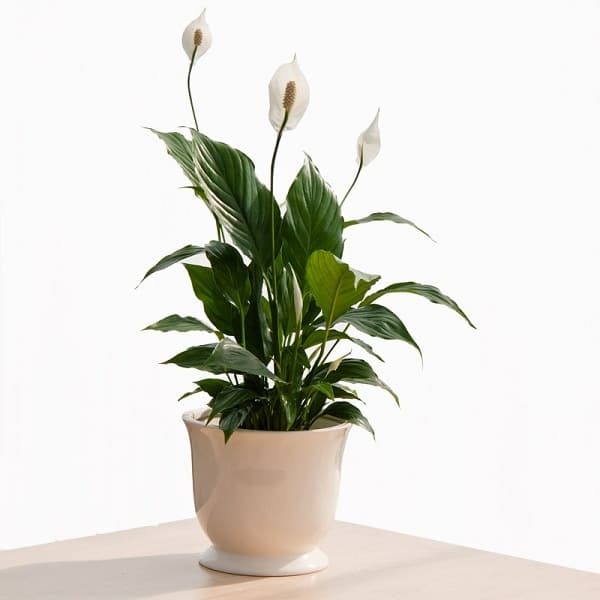 With graceful curving leaves and white flower that rise up from the dark foliage, peace lily looks exotic and elegant. 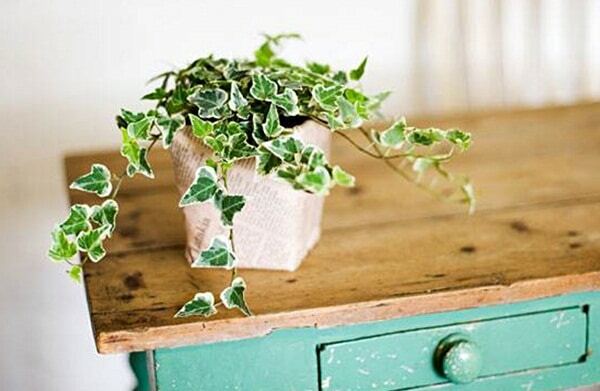 English Ivy is very hardy and easy to grow. 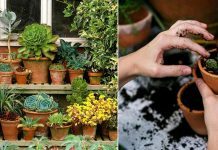 Keep the pot in a spot that receives bright indirect sun and plant it in a container that is wide and shallow rather than narrow and deep. 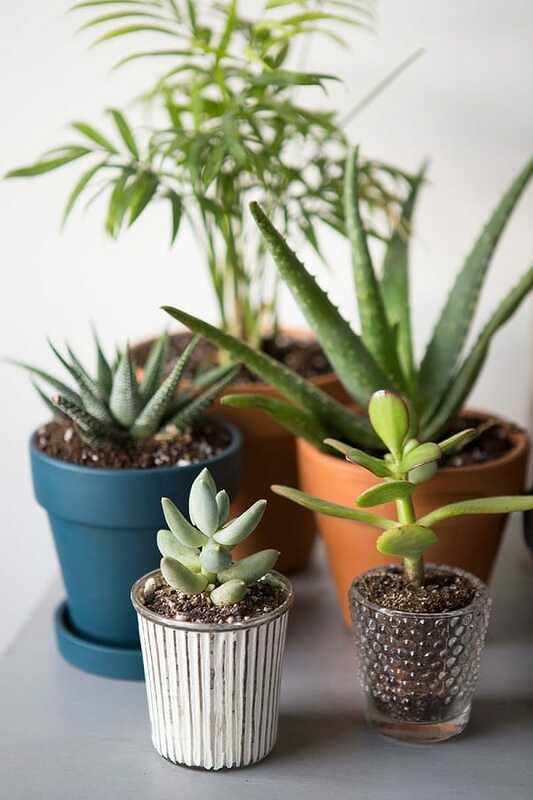 Succulents and cacti are ideal for those who forget to water and care for plants. They are very adaptable and can survive many adverse conditions. They need to be placed on a bright spot and a well-drained soil with little water. 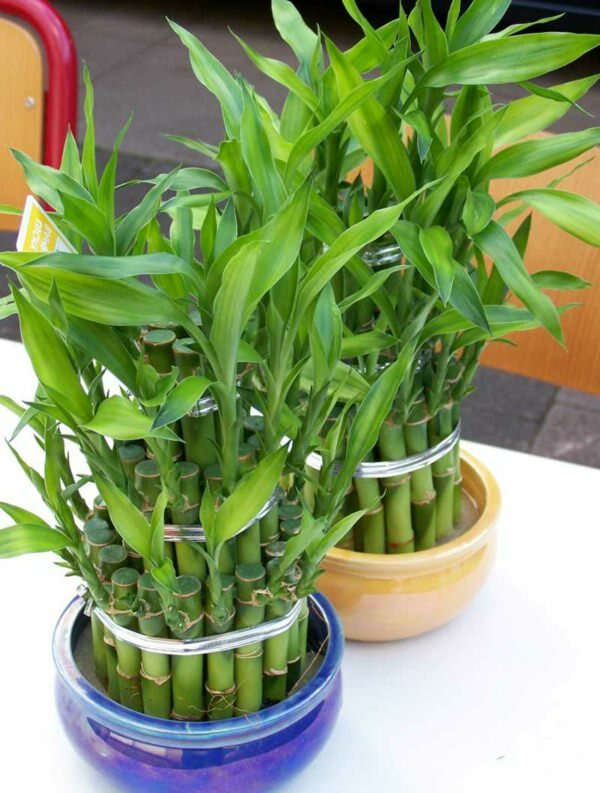 Lucky bamboo is not a bamboo, but a plant belongs to Dracaena genus. It is an easy-care houseplant. Just provide it abundant water and it’ll grow well even in indirect light. Protect the plant from cold drafts and provide iron fertilizer occasionally. 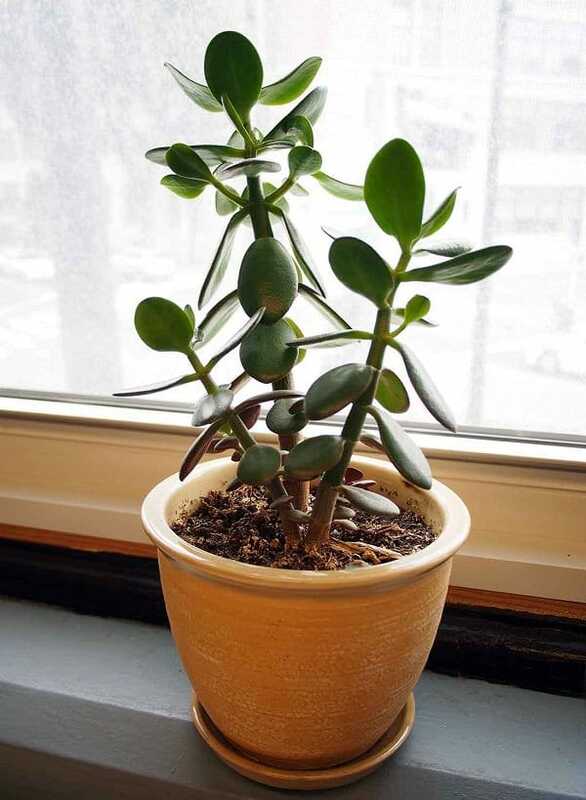 Jade plant is a succulent and is probably one of the best houseplants for beginners. When grown indoors, a jade plant can grow up to a size of a small shrub. Keep the plant in a spot that receives partial or indirect sunlight from having a healthy specimen. As the name suggest, one of the toughest plants that make it ideal for beginners. 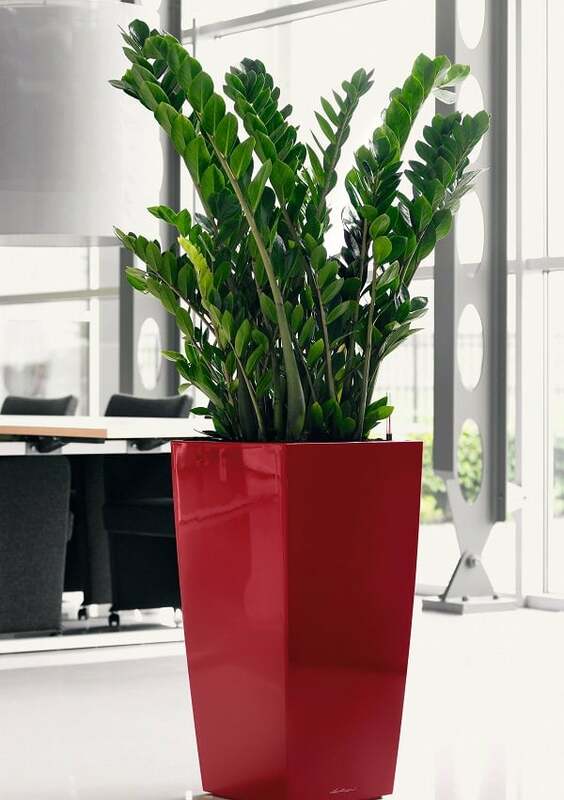 Cast-iron plant can withstands neglect, low light, low humidity, and a wide range of temperatures. It prefers moist soil. Another good plant for beginners is Peperomia. Peperomia is small striking houseplant that is available in different colors and shapes. 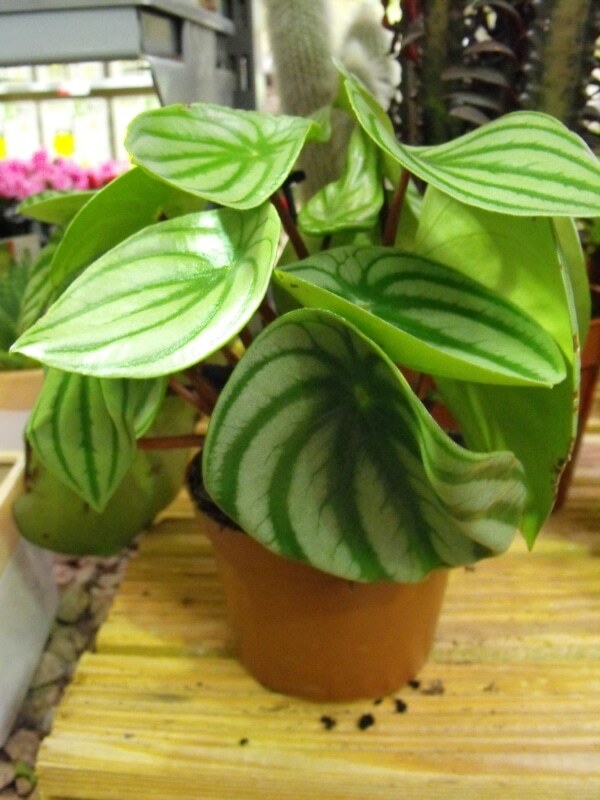 Peperomia likes slightly moist soil and humidity but watering should be reduced in winter. This super-tough plant is high resistant to adverse conditions like drought and low light. The plant prefers bright to moderate indirect light and well-drained soil. ZZ plant can do fine without fertilizer, but if you would like, you can fertilize the plant with half strength general fertilizer one to two times a year in the summer months. 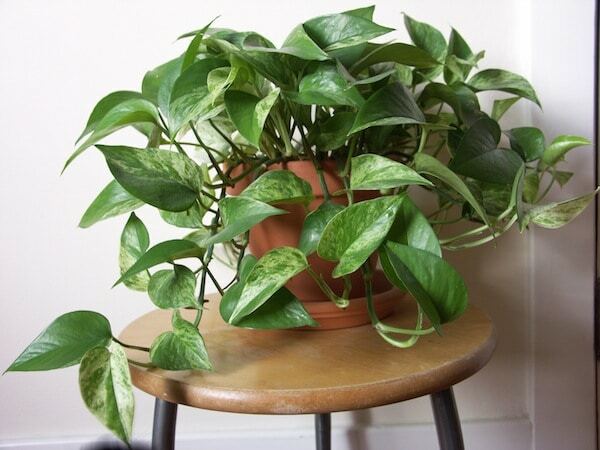 Plants of the pothos family are easy to grow and become great houseplants for beginners. 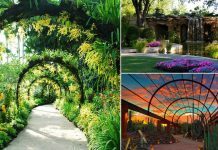 This attractive and durable vine prefers bright indirect light and a draft free place. It can grow in low light and needs moist soil. 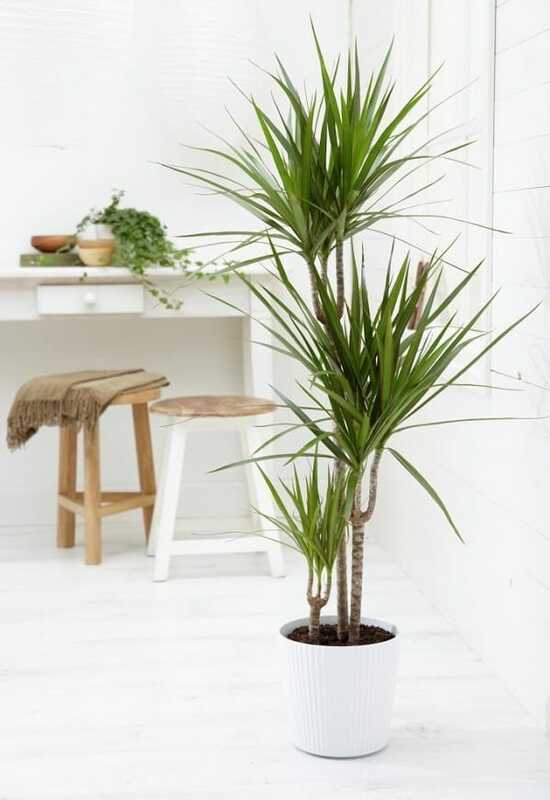 There are many varieties of Dracaena genus that are hardy houseplants, Dracaena marginata, Dracaena fragrans are among the most popular and easy to grow plants. This beautiful houseplant needs occasional pruning and regular watering. Keep the plant away from direct sun and avoid overwatering. 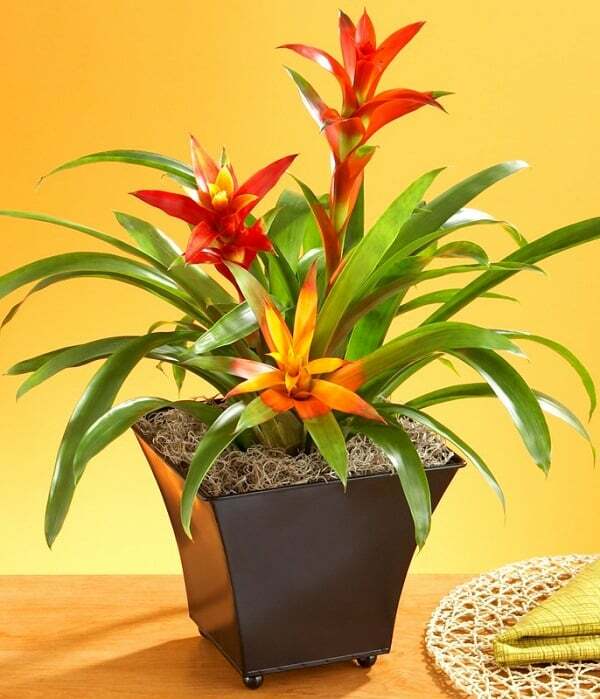 Bromeliad is a perfect plant to grow indoors, most of the varieties of this plant thrive easily indoors. Although it is difficult to make it bloom, there are many varieties that have beautiful foliage that makes an attractive display. 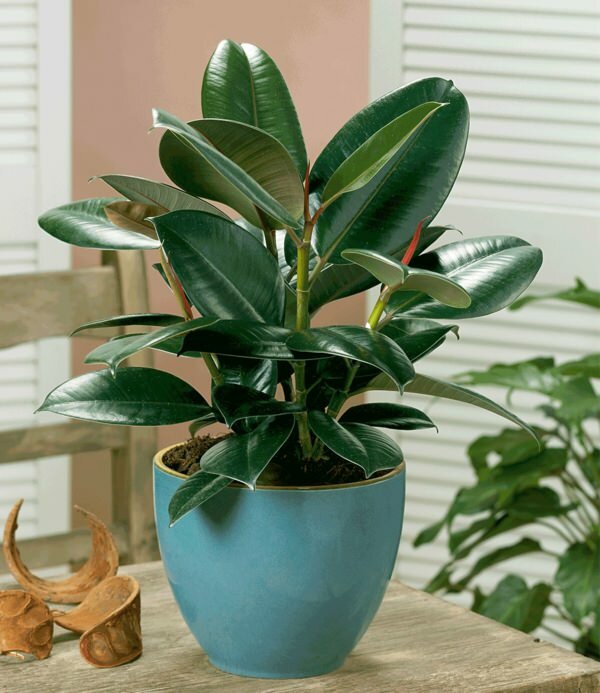 Rubber plant is a large houseplant that can become a focal point to any room. Low maintenance and easy to grow. Keep it in a well-lit position in your home and allow the soil to dry out between watering spells. 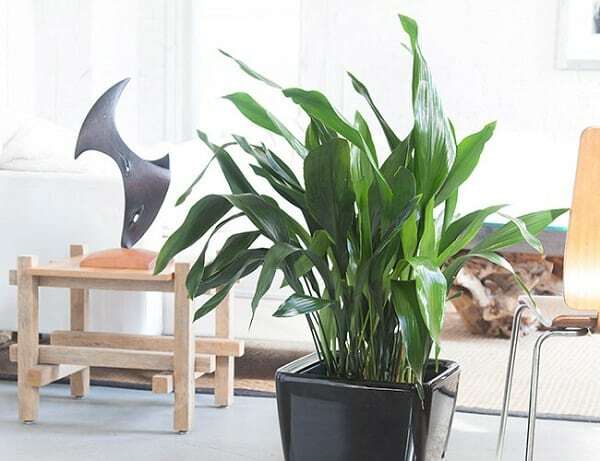 Besides the ornamental aspect, rubber plant is also an air purifying plant. Thank you so much for the list, it was very helpful! !